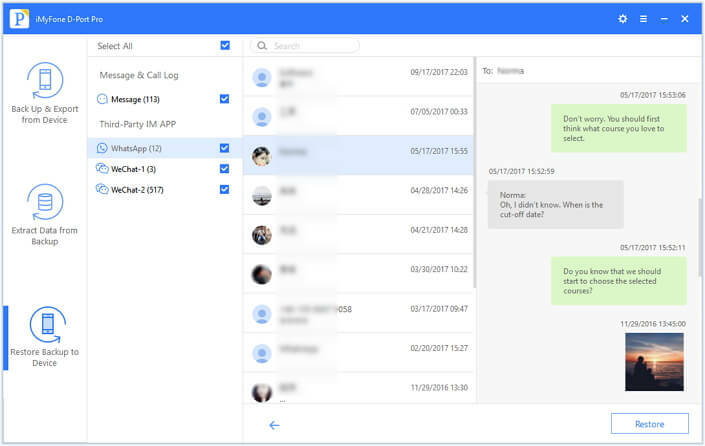 If you love your WeChat time, the messages you send and receive via the messaging app may be important to you and as such you’d wat to keep the data safe. An iCloud or iTunes backup often works as a good solution for a data loss problem since all you have to do is restore the backup should you lose any of your messages. Losing WeChat data can be devastating and since it takes a long time to get the messages back with a device restore, you may be looking for another way to get your WeChat data back. Would you like to be able to pick and choose what type of data to restore as opposed to restoring the entire device? Even better, would you like to restore just the missing WeChat messages as opposed to all messages? If the answer is an emphatic yes, you’ve come to the right place. Read on to find out how you can restore only your WeChat Messages to your iPhone X. To get this kind of specialized control over your backup and restore process, you need a specialized tool designed for that purpose. That tool isiMyFone D-Port Pro, a backup and restore tool that is designed to make the process that much easier but also give you more control over your data. The following are just some of the features that make D-Port Pro the only solution you should consider. You can use D-Port to backup and restore just Messages, WeChat and WhatsApp messages exclusively. Backup all the data and settings on your device in a single click. You can also restore the backup just as easily. 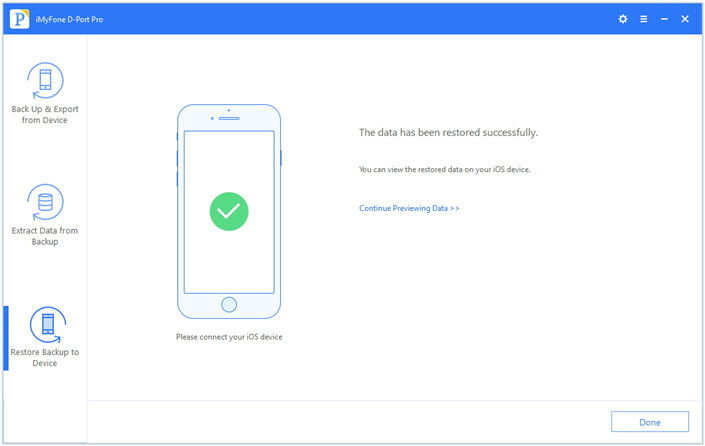 Its features also allow users to export up to 18+ different types of data from your iOS device or an iTunes/iCloud backup. 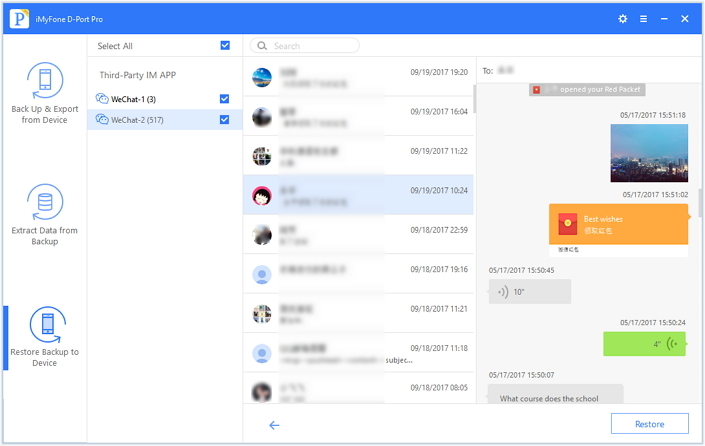 If the missing WeChat messages are included in an iTunes backup, here’s how to use D-Port Pro to get them back. Step 1: Download and install iMyfone D-Port Pro to your computer and then launch the program. From the main window, select “Restore Backup to Device” and then choose the backup we just created. Click “Restore Partial Backup” and then click “Next.” Connect the device to the computer if you haven’t already one so. Step 2. Select WeChat as the type of data you want to restore and then click “Next” to allow the program to scan the backup. Step 3: Once the scanning process is complete, select the WeChat data you need and click “Restore.” The program should automatically begin the restoration process. Keep the device connected through the whole process. 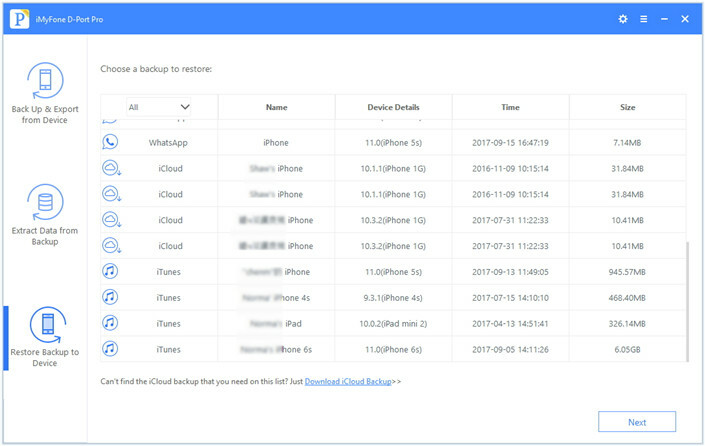 Follow these simple steps if the WeChat Messages you need are in your iCloud Backup. Step 1: Select “Restore Backup to Device” and then choose “iCloud.” If you hadn’t downloaded the iCloud backup. Click “Download iCloud Backup” and sign in to your account to download the backup. Step 2: Choose the backup you need and then click “Next” to choose the type of data you want to restore (WeChat). Download the backup and allow the program a few minutes to scan the backup file. The scanning process shouldn’t take too long. 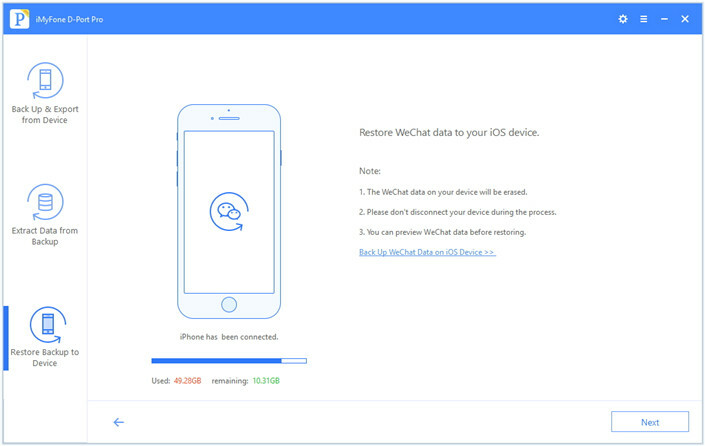 Step 3: Once the scanning process is complete select the WeChat Data you need to restore and then click “Restore” and the program will immediately begin restoring the data to your iPhone X. You can view the restored data on the device. The Maximum Number of Free Accounts Have Been Activated on this iPhone, How to Fix?